ActivForm® Automatically fits to the face. No manual adjustments by the user are necessary. 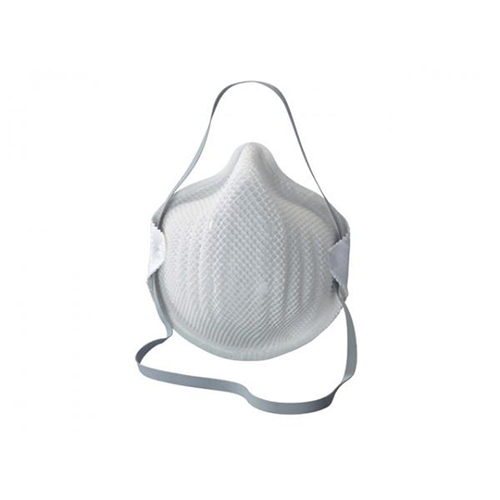 DuraMesh® Masks have a strong and durable structure. Ventex®-valve Starts to open even at low exhalation pressure and significantly reduces moisture and heat inside the mask. Adjustable Strap Makes it easier to take the mask on and off and to adjust to different head/neck dimensions. Dolomite clogging test Masks have passed the Dolomite clogging test. Better breathing resistance for longer. 100% PVC-FREE All Moldex products and packaging are completely free from PVC.